Dr. Holmes, Dr. Revel, and Dr. Lowry are your partners in the quest for a healthy smile. 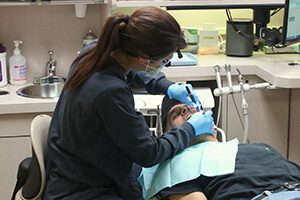 As caring, experienced practitioners of general and family dentistry, they consider themselves instructors and motivators. At your six-month checkup and cleaning, they will thoroughly assess your dental health and teach you to care for your smile at home. We’ll give you tips to incorporate healthy habits and avoid negative ones. 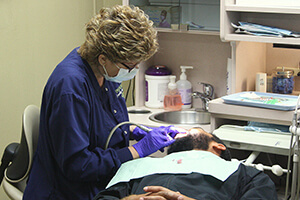 Our full-service family and general dentistry services strengthen oral function and maximize appearance and comfort. 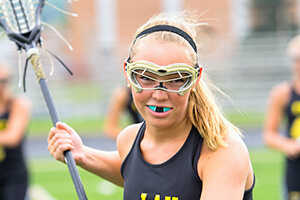 We offer athletic mouthguards to thwart sports-related oral injury and nightguards to prevent teeth clenching and grinding. Our dentists give kids happy, healthy smiles with comprehensive children’s dental services. 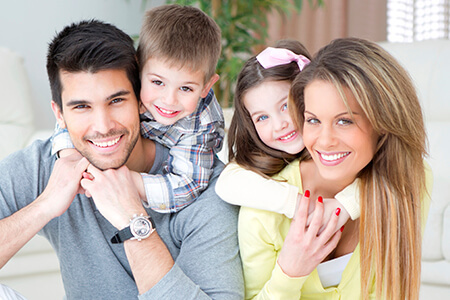 We're committed to your family’s long-term dental health! We recommend that children and adults alike visit our practice twice a year (once every six months) for a comprehensive checkup. 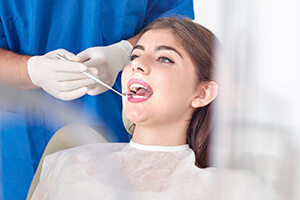 During this visit, our team members and doctors will carefully inspect your oral health for any changes or signs of trouble, reviewing each tooth, the gum tissue, the bite, the jaw, existing restorative work, and more. X-rays will reveal any damage or infection that may not be showing on the surface just yet. Once we have all of this information at our disposal, we work with patients to devise a treatment plan to address their needs. Over time, the sticky, bacteria-filled substance known as plaque is constantly forming on teeth, threatening to harden into tartar and cause lasting decay. While diligent brushing and flossing can remove plaque, even the smallest of missed areas can result in dental damage over time. That’s why it’s important to visit our talented staff regularly for a professional cleaning! During these visits, we will remove plaque, tartar, and minor dental staining so that you can enjoy a smile that’s refreshed in both feel and look. Are you or your children seasoned athletes? Do you regularly participate in games where physical contact with other players or hard surfaces is a possibility? If so, it’s important to keep your vulnerable smile protected from injury just like you would your head or knees. Here in Pasadena, TX, Dr. Holmes, Dr. Revel, and Dr. Lowry can help patients find the ideal mouthguard for their unique smile. While multiple options are available, we strongly recommend a custom-made model designed by us, as these provide the best stability, comfort, and flexibility. Bruxism (more commonly referred to as “teeth grinding”) is a common bad habit that plagues patients of all ages, especially busy professionals. What’s worse is that you’re much more likely to experience it while sleeping, leaving sufferers confused as to why they’re experiencing worn-down enamel, jaw pain, and other unpleasant symptoms. 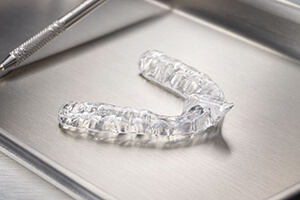 Thankfully, the regular use of a nightguard from Pasadena Family Dentistry can help minimize the damaging effects of grinding. Thousands of new cases of oral cancer are diagnosed every single year, and nearly half of those patients won’t survive more than five years past that point. This happens because most patients don’t actually receive a solid diagnosis until their case has already reached an advanced stage, making recovery a difficult and often unsuccessful process. Thankfully, attending regular oral cancer screenings at Pasadena Family Dentistry can help! We use VELscope technology to locate cancerous or pre-cancerous cells within the mouth at their earliest stages of development, keeping our patients safe and potentially even saving their lives. 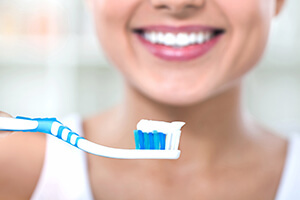 While ongoing professional care from a trusted dental team like ours is very important for maintaining your healthy smile, keeping up with a strong oral hygiene routine at home is just as crucial. When needed, Dr. Holmes, Dr. Revel, and Dr. Lowry will be happy to recommend quality oral hygiene products that can make a big positive difference in your family’s brushing and flossing, including Clinpro toothpaste, PerioMed oral rinse, CloSYS brand items, and more.